There are two major conflicting angles to consider this evening. 1) For Houston-Better teams win and cover in late November and December. Are the Texans one of those “better teams”? 2) For Tennessee-Their top-rated defense imploded against Indianapolis. Should that performance be considered an anomaly, or should we expect more of the same? 1) Has won their last seven(7) games in succession, so maybe they’re pretty good. Or maybe they aren’t. Strength of schedule can be more of a determinant in college football, but still is important in the NFL. The Texans arguably have played the weakest SOS in the league. 2) After their 3rd game of the season (all losses), the Texans decided to run the ball more often, never passing more than 25 times. You would think a good run defense like Tennessee’s could be successful. 3) Has made way too many mistakes in the Red Zone, some due to bad coaching decisions. 4) Now has some offensive line issues. 1) Even after last week’s big loss, has given up less points than only one other team. My big concern for this evening is their secondary play. Last week Adoree’ Jackson didn’t perform like the 18th overall pick in the draft(2017). More early pressure from Tennessee’s capable defensive front may help. 2) The Titans played poorly against the Colts after Mariota was injured. He’e expected to be active this evening. His replacement, Blaine Gabbert, didn’t look ready. Ironically, Gabbert did play well earlier in the season, beating Houston. We’re playing a market as much as a game. 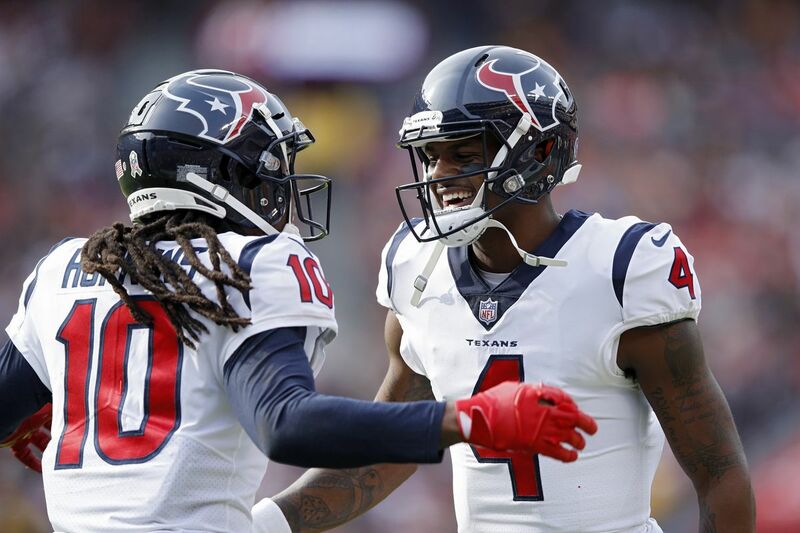 The Texans are over-bet for three(3) reasons. 2) Their owner/founder (Robert McNair), passed away. Some think this will add motivation. It won’t. 3) Most analysts remember Houston as a much better team last seasonuntil DeShaun Watson was injured. They may have been, but his record was 3 and 4. Maybe the real Titans were exposed last week against the Colts. I think that they may be better than that.